If I’d have to write about makeup bags, I admit that I wouldn’t know where to start: a new personal beauty clutch; a small handy one or a bigger one… or perhaps those bags that I need for my makeup kit: flat and transparent ones, pencil cases, containers,…huh how much stuff! This time I’m more easy-going 🙂 I want to present you my new essential makeup bag for personal use (yes, I really needed one just for me!). I’ve finally found a bag that is not too big, nor too small, just great for all essentials and even more! And I’m not talking about a usual makeup bag, but about a bag that has a green story behind too! This is right what I was searching for since a long time! I have casually found all these gorgeous bags on such a cute website called The green suitcase. This is an agency who represents and distributes different Australian eco-friendly brands with fashion, jewelry and other interesting products on European market. 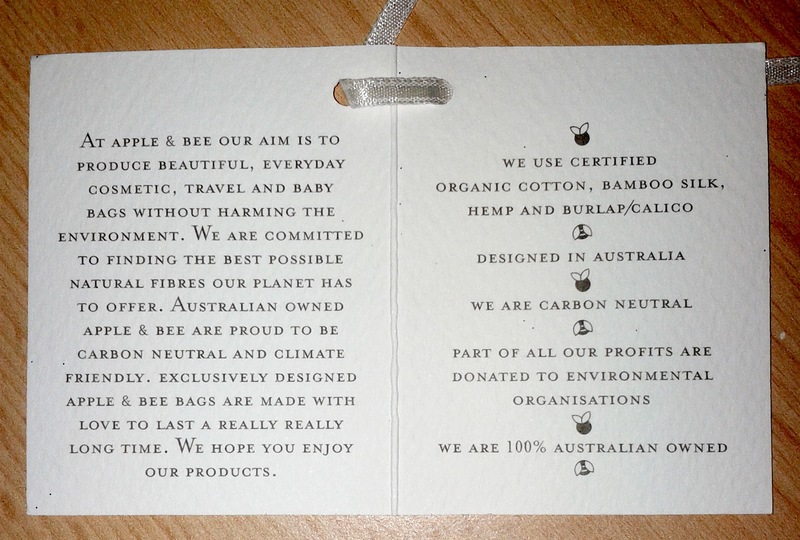 Here is the link to their nice website where you can also download many lookbooks and check the latest Australian designers with an earth-friendly approach in design. 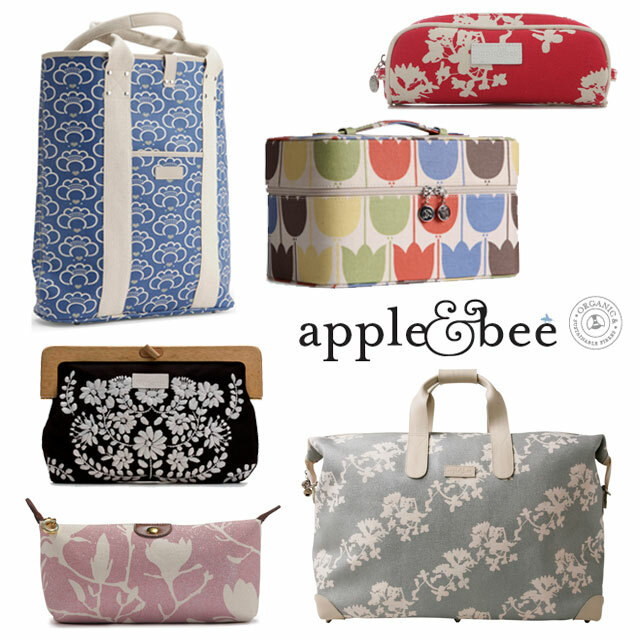 Among all these brands I was immediately enthusiastic about the brand Apple & Bee. 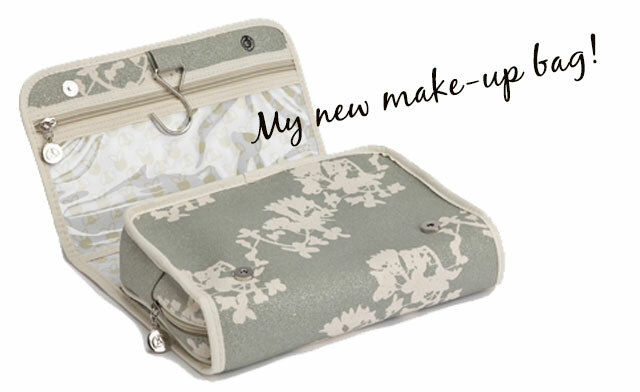 They are specialized in make-up bags of all sizes and shapes. Their collection includes also different totes, weekend bag, lunch bags, baby products and even beautiful notebooks! I like their diversity of prints that are all very youthful. The design and the quality of bags is amazing! Everything is made just perfectly! Here I’ve collected some pictures of their different products. Aren’t they cute?! I’m so intrigued about my Apple&bee bag that I decided to do a video about it to see how big is the bag, how it looks like, how much products you can put in it, how the amazing glittery silver color and pattern shine… 🙂 In this case the moving picture describes better the product than words. Hope you will find it helpful! As you can see I have put inside just make-up products, and intentionally many different ones. And there was still place left for smaller things like eyeshadows or glosses! The foldout system is very functional – when you unfold the bag you can hang it on wall too (with the hanger hook). If you wish you can put in this bag more skin care products and less makeup that fit well in other 2 flat pockets (for women with minimalistic make-up approach). I like the fact that the bag’s pockets are transparent so that you can quickly see through it the products. The plastic is waterproof and easy to clean which is a big plus. The outside of the bag is made from organic cotton and this model is all glittered in silver color which adds a chic touch without being kitschy. Another detail has fascinated me as well: you receive the bag in another “protective” cotton bag. On the picture below I have also taken a picture of the label that was attached on the bag where you can read the environmental priorities of Apple&Bee company. Do you like this bag? 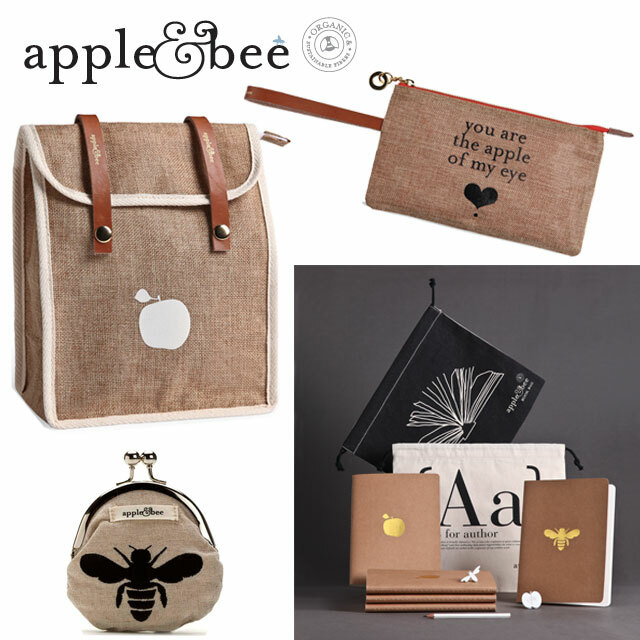 Does anyone have already any Apple&Bee bags? Love to hear your thoughts! Hahaha, officially temptress 😀 I take it as a good compliment indeed. I’m glad you like the bag. Yes the prices are a little bit high but I feel that when you have a product that is worth because of its function and also good materials then I won’t change so quickly. It has a story behind. This is how I look at things, investing in yourself. Regarding the weight I have put it on the scale and it weights more than 1,2kg and you still have some place in it. Thank you Dasha for weighting it! 🙂 As for the price matter, I was hasty, but it is a complex question.